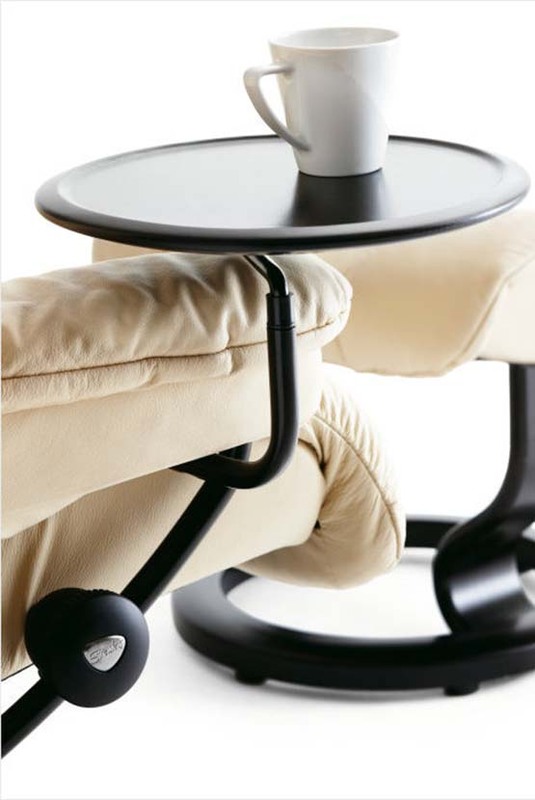 Stressless Swing table, a small round table (11 inch diameter) with swing arm that holds your remote, cup, book or whatever else you keep handy. Seven wood finishes: wenge, black, teak, brown, walnut, oak, natural. 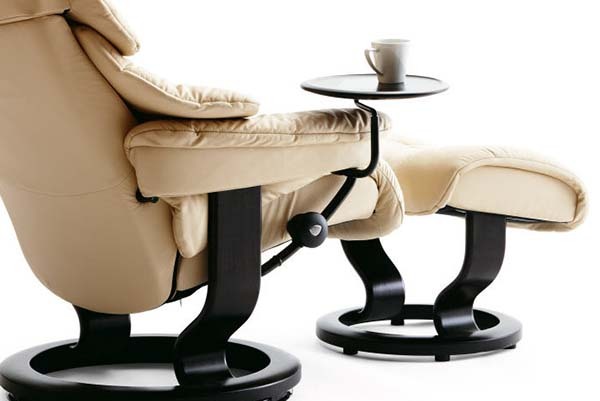 The Stressless Swing table is a practical accessory that works alongside all Stressless recliners with Classic base. 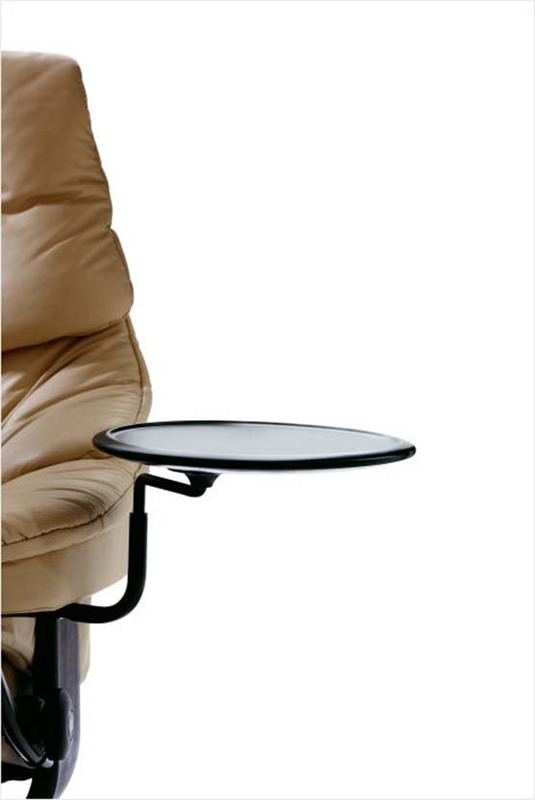 This small, round table (11 inch diameter) holds your remote, cup, book or whatever else you keep handy. 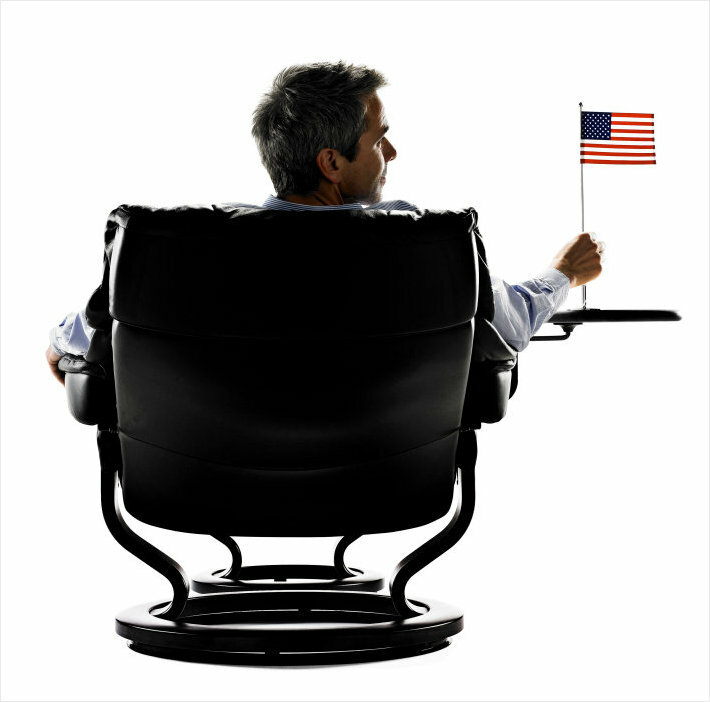 It fits all recliners with Classic base, choice of seven wood finishes: wenge, black, teak, brown, walnut, oak, natural. 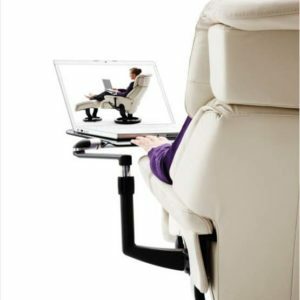 Each accessory is designed to ensure you get the most enjoyment out of your recliner. 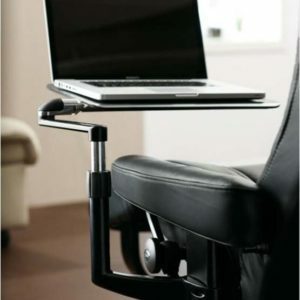 Currently the swing arm and personal computer tables are designed only for recliners with the Classic base. Our accessories will transform your living room into an efficient and relaxed space. 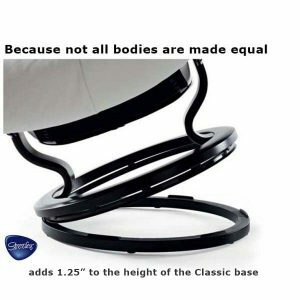 Our tables are made with the same quality and care as the famous Stressless recliners.